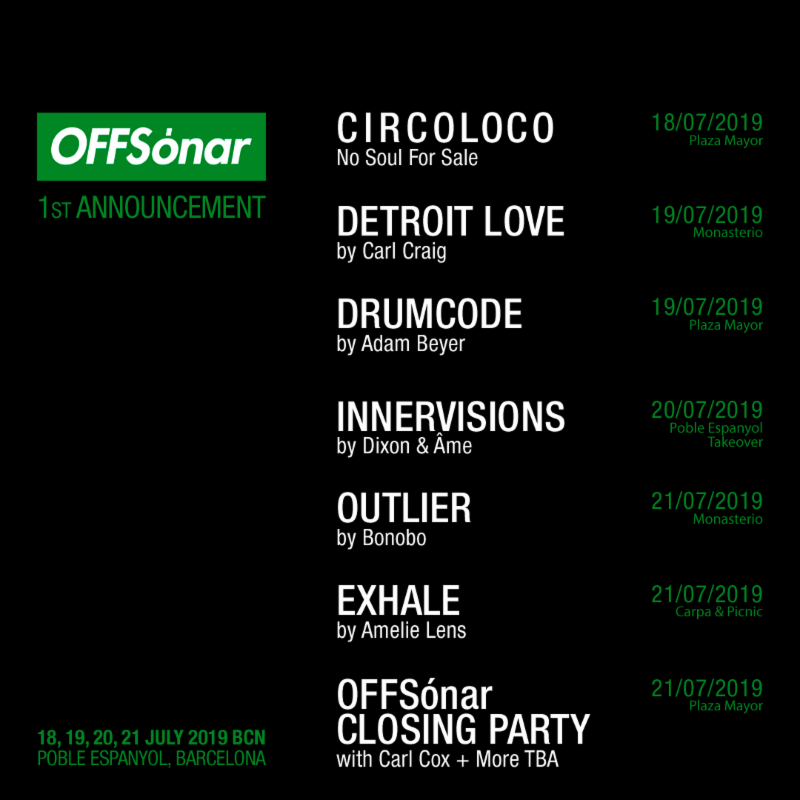 OFFSónar has locked the likes of Carl Cox, Adam Beyer and Amelie Lens for its 2019 outing. As well as announcing that it's moving to July (18th-21st), organisers have revealed the showcases for 2019. See the full line-up, as part of the first announcement, below. Taking place in Poble Espanyol - an open-air architectural museum situated on the steps of the Montjuïc mountain overlooking Barcelona - the annual festival brings together labels and artists at the cutting edge of dance music for Europe's biggest party week. Watch sets by Carl Cox, Adam Beyer and more from Awakenings 2018. Go here to buy tickets. Revisit 50 massive track from this year's Sónar week. Carl Cox recently revealed that he's bringing Space Ibiza to London's Steel Yard next summer.